Parkinson’s is a progressive, neurodegenerative disease generally caused when a small group of brain cells that control movements die. This disease is most commonly observed in 1% of the people over the age of 60. It is caused by the gradual loss of the cells deep within the brain that produce dopamine. What causes the Parkinson’s disease? As mentioned earlier, Parkinson’s is caused by the progressive deterioration of the neurons in the part of the brain called the substantia nigra. These neurons are responsible for producing dopamine which is a vital brain chemical. This dopamine is essential because it acts as a chemical messenger that allows communication between the substantia nigra and the corpus striatum. This communication enables smooth and balanced muscle movement. Hence, the lack of dopamine causes loss of control over the muscle movements, causing Parkinson’s disease. It is a known fact that there is no way to prevent the Parkinson’s disease. There are however several treatment options available. 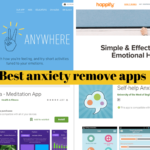 These include drug therapy and surgery that can reduce the symptoms. This enables the patients with Parkinson’s to live a near to normal life. 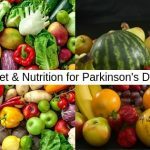 Some of the most common symptoms of Parkinson’s disease are muscle rigidity, tremors, slowing down of spontaneous activity, changes in posture, changes in walking patterns, speech and handwriting changes, loss of balance and light headedness or fainting. 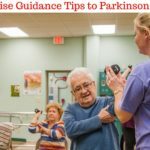 What is Deep Brain Stimulation Surgery for Parkinson’s? Deep Brain Stimulation Surgery is one of the available options for treating selected patients suffering from Parkinson’s. It consists of the implantation of a thin lead that contains electrodes, to a targeted area in the brain. This lead is inserted through a small opening in the skull and the other end is connected to an impulse generator. This system is implanted below the skin and blocks the signals hence providing symptom relief. What are the available options for surgery for Parkinson’s disease? Thalamotomy: In this method, the part of the brain called the Thalamus is surgically destroyed. It is important to note which part of the body is experiencing tremors. If the right side of the body experiences tremors, the left side of the thalamus is destroyed. Pallidotomy: In this method, the part of the brain called the globus pallidus that is overactive is destroyed. This reduces the brain activity and helps control the symptoms of Parkinson’s. Subthalamotomy: The part of the brain called the subthalamus is destroyed in order to control the symptoms of this disease. This surgery is rarely performed in today’s day and time. Most of these surgeries require a two day hospital stay and patients recover within six weeks time. 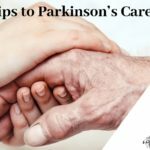 The key to the treatment of this disease is to seek help as soon as you feel less able to cope with the symptoms of Parkinson’s Disease. 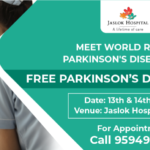 Dr. Paresh K. Doshi is a famous Neurosurgeon who is In charge at Jaslok Hospital is providing Parkinson Treatment in India at lowest cost of surgery.